Acupuncture, moxibustion, cupping, dietary therapy, herbal consultation, pediatric acupressure, energy flow exercise and so on. Acupuncture is the insertion of thin needles into key points on body channels and meridians in order to relieve pain, disease, and promote general health. Moxibustion involves burning the herb mugwort and holding the moxa stick close to the treatment area. 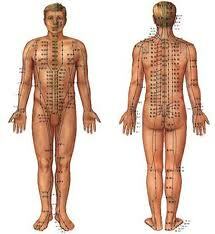 The purpose of moxibustion is to strengthen the blood and stimulate qi flow. Cupping is a simple method that revitalizes and causes stagnant blood and body energy to circulate about the body. Glass cups are placed upon the injured area and used for suction. It is done to improve circulation and aid fatigued muscles. For small children or those who are needle-phobic we offer acupressure which stimulates the points using finger pressure or a small magnet or seed applied to the point with tape.